The 2018 Winter Olympic Games are here, and one of the first events to watch also happens to be one of the best. 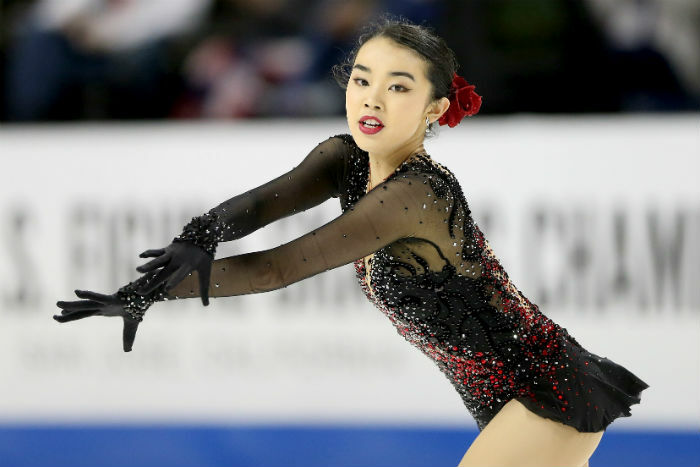 Figure skating will be kicking off the Games on February 8th, and it’s no surprise that everyone is pretty excited to tune in. While the Games are full of tons of exciting events, it’s safe to say that figure skating is definitely one of the more popular ones, and it’s always more fun to watch when you know a thing or two about the athletes performing. So, before you sit down to watch, meet the U.S. figure skating team of the 2018 Winter Olympics! Mirai is a returning Olympian listed as an “athlete to watch” on the official Olympics Team USA site. The 24-year-old, who is from Arcadia, California, was the 2008 U.S. champion, and placed fourth at the 2010 Games. 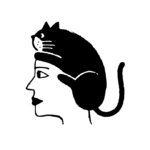 Although she was left out of the 2014 Games, she kept trying. She ended up placing fourth at the 2017 U.S. Championships, and won silver at the 2017 U.S. International Classic in Salt Lake City, scoring her a spot this year. Mirai is the second U.S. woman to land a tripe axel, the most difficult jump in figure skating, in an international competition. 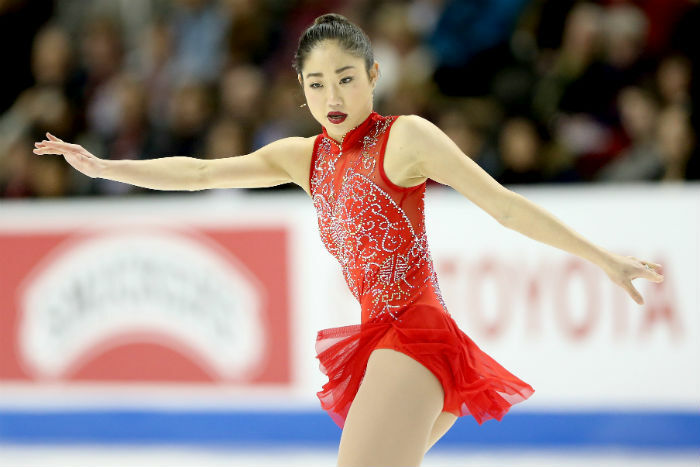 At 18 years old, Karen is the youngest woman on the Olympic figure skating team. Karen became a star in the figure skating world after winning a bronze medal at the 2015 nationals. In 2017, she became the national champion, then placed third at this year’s nationals while battling the flu — this rightfully secured her spot on Team USA. Karen is also an author: She wrote a book called Finding The Edge, which is about her life as a figure skater, and includes a foreword by Olympic figure skater Kristi Yamaguchi, Karen’s mentor. 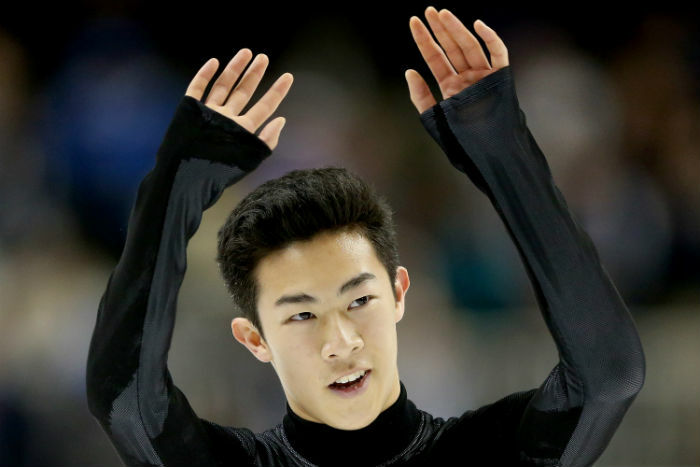 There’s a reason Nathan Chen’s name sounds familiar: Team USA says he is the “reigning U.S., Four Continents, and Grand Prix Final champion.” Nathan won gold at the 2017 Grand Prix Series events in Russia and the U.S., and went to the U.S. championships as the only undefeated male skater in the world this season. During his free skate at the championships, Nathan impressed everyone by becoming the first skater to land five quadruple jumps in one program. At the U.S. International Classic, he performed a quadruple loop, and is now the only skater in the world to land five different quadruple jumps in international competition. The New York Times says he was a “shoo-in” for Team USA, and many expect him to win the gold at the Games. 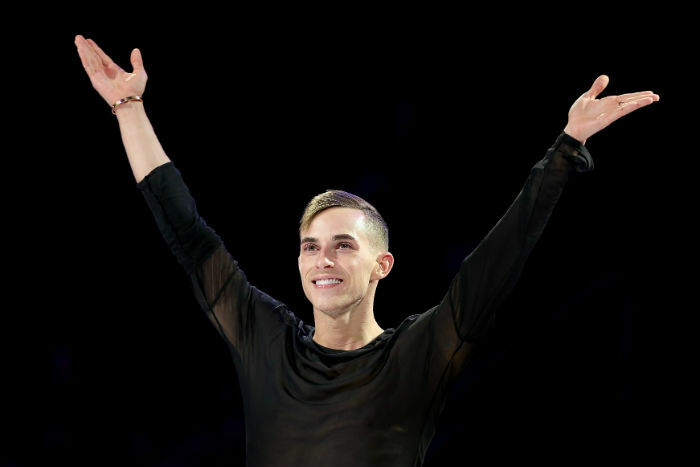 28 years old, Adam Rippon is making his Olympics debut. He is also the first openly gay U.S. athlete to qualify for the Olympics. Adam has made no secret of his hated for Mike Pence, due to his support of gay-conversion therapy. Adam once said he refuses to meet Pence (he’s leading the U.S. delegation at the Olympics and will be at a meet and greet). In 2010, Adam was an alternate for the Olympic team in Vancouver. He finished in fourth place at the 2018 U.S. championships, and was then chosen for PyeongChang. 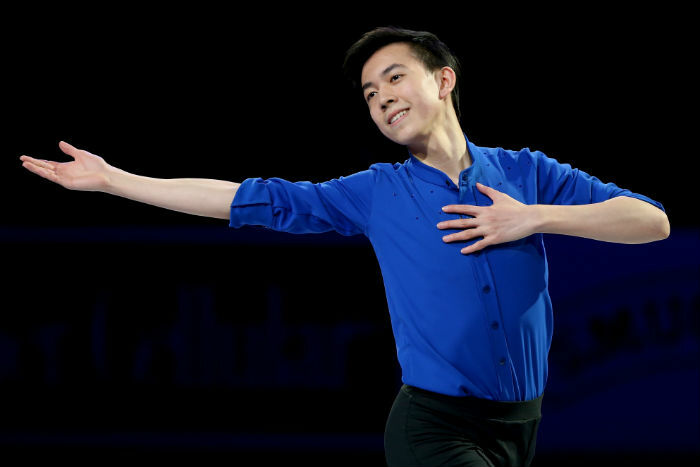 17-year-old Vincent Zhou is from Palo Alto, California, and is the youngest man on the Olympic skating team. He started skating when he was just five-years-old. After placing third as this year’s championships, Adam was selected for Team USA. The Washington Post says he was a given for the team after winning second place the 2017 national championships and becoming the first junior in history to land a quadruple jump. Madison Chock, 25, and Evan Bates, 28, are from Michigan.They won silver medals at the 2015 and 2016 U.S. championships. In 2015, they won nationals, and in 2017 received a silver medal. They also performed in the Sochi Olympics, where they placed eighth. They’ve been skating together since the summer of 2011, and while they started as friends, they’re now dating. They don’t just skate: In 2014, Evan graduated from the University of Michigan. Madison is a designer who designs the team’s costumes. Madison Hubbell, 24, is from Okemos, Michigan. Zachary Donohue, 27, is from Madison, Connecticut. They have competed in six previous U.S. championships, and this year was the first time they won as the year’s ice-dancing national champions. They had finished 3rd four times and 4th twice before scoring big. And yes, they did date — for two-and-a-half years — but they broke up because they felt they were together too often. This is their first time heading to the Olympics. 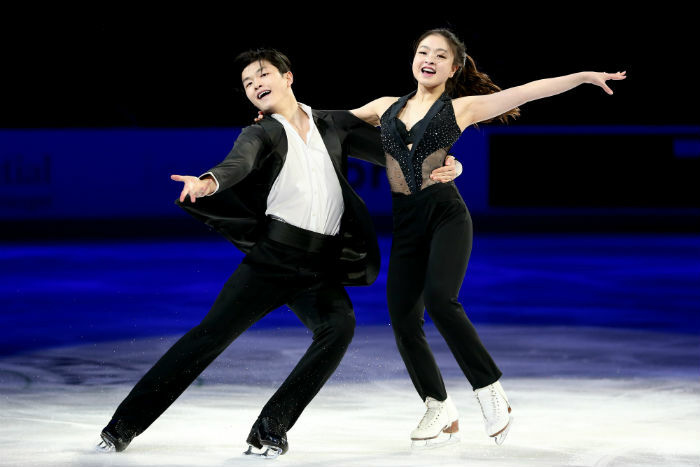 Okay, get ready for this: Maia, 23, and Alex, 26, Shibutani are a brother-sister duo, and they’re known as the “ShiSibs.” Adorable! They are this year’s national silver medalists and are two-time national champions who placed first in 2017 and 2016. Maia introduced figure skating to Alex, who wasn’t into it at first. They began competing as a pair in 2004. They have medaled the U.S. Championships for 13 consecutive years, so they definitely have a lot of experience. Want more of them? They also have a YouTube channel together called ShiSibs. Alexa Scimeca Kinierum, 26, and Chris Kinierum, 29, are a husband and wife duo from Colorado Springs, Colorado, and they have not had an easy journey to the Games. Chris broke his leg during the 2014 Olympic season, and they placed fourth at the 2014 national championships. After winning nationals with their first U.S. title in 2015, Alexa battled a life-threatening stomach illness that made them miss most of the 2016 season. They returned to compete in the ISU Four Continents Figure Skating Championships in 2017. They are the first married pair from the U.S. to make the Olympic team since 1998.